Escape the urban bustle at Juquehy Beach and Tombo beach. You'll explore and learn at Pinacoteca do Estado de Sao Paulo and Centro Cultural Banco do Brasil. Explore the numerous day-trip ideas around Sao Paulo: Skydiving (in Boituva), Pinacotheca Benedicto Calixto (in Santos) and Guaruja (Enseada Beach, Ilha Pompeba, & more). And it doesn't end there: explore the world behind art at Museu de Arte de Sao Paulo Assis Chateaubriand - MASP, admire nature's wide array of creatures at Zoológico de São Paulo, examine the collection at Football Museum, and head outdoors with Parque Vicentina Aranha. 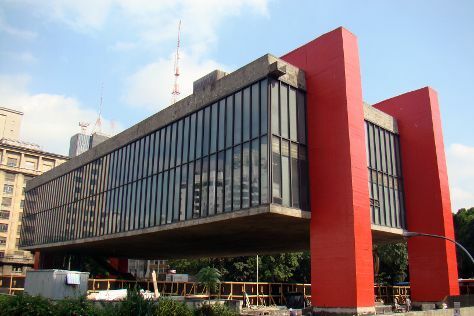 To see ratings, where to stay, and more tourist information, use the Sao Paulo trip planner. March in Sao Paulo sees daily highs of 32°C and lows of 22°C at night. Finish your sightseeing early on the 31st (Sun) to allow enough time to travel back home.